I feel like there is so much left to do – and so little time! The entire family is heading down to Florida to attend this year’s Social Media Moms conference. I am VERY excited because this conference is one that is filled with a multitude of personal and business adventures! The kids have been counting down the nano-seconds until our scheduled time to fly out. A lot of my friends didn’t even tell their kids yet – and I NOW UNDERSTAND WHY. LOL! Am I going to school tomorrow? Today mom? Is it today? Are we going to Disney today? But it’s all part of the fun. We’ve been packing and making lists for DAYS. It’s all coming down to the wire. I will be blogging daily — so be on the look out for some updates. 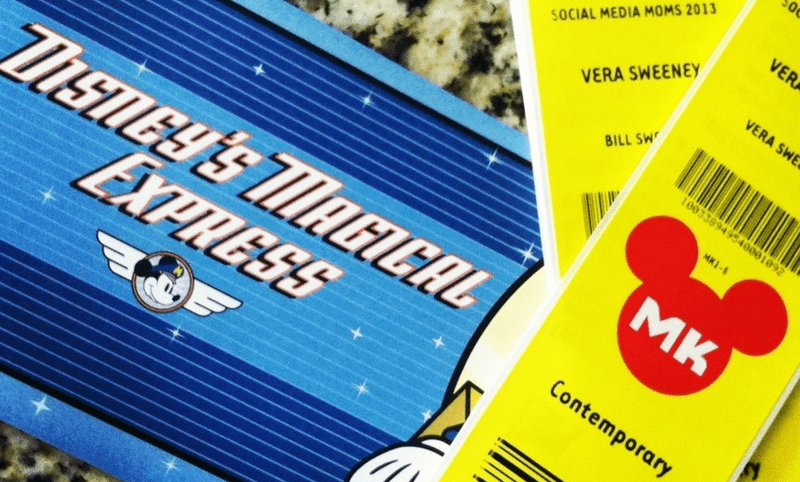 My little heart skips a beat just seeing the picture of your Magical Express luggage tags – lol! Have a wonderful time with the other amazing DisneySMMoms, and your kids 🙂 We’ll be excited to hear of your adventures and see pix! Good luck with the flight! We’ll be taking a red eye with a 2 year old… Ack! Hope she sleeps!